Wow, I never thought Yotaan of all people would get a post about RP and headcannons out before me. He’s just not really the story-telling type, that was my job! No, it’s still my job! And now I’m going to do it! Pants style! Most of my character start off with a set of personality traits and characteristics. Sometimes they just at that level, no back story or name. Name you ask? Well, the majority of my characters have a name that ends in or relates to Pants. I’ve got Fussypants, Fancypants, Yogapants, Stancepants, and Bearbottoms to name a few. Doesn’t really make for great RP names, does it? So, part of creating headcannons also includes picking an appropriate name that matches with the character. Actually, this is typically the last part, once I’ve cemented down the story. Personality traits, then backstory, then name. Well this was a lot of exposition, now lets get to those headcannons! First off, we have my main and most beloved character, Fussypants. She’s a draenei holy and protection paladin with a strong sense of morals and compassion. Very much the archetypal paladin, my draenei is the first person to stand up to something unjust and will put her life on the line for a righteous cause. She’s a fierce defender of her companions but she also internalizes issues to protect those around her. Backstory-wise, she did live on Argus but was still rather young during the exodus. 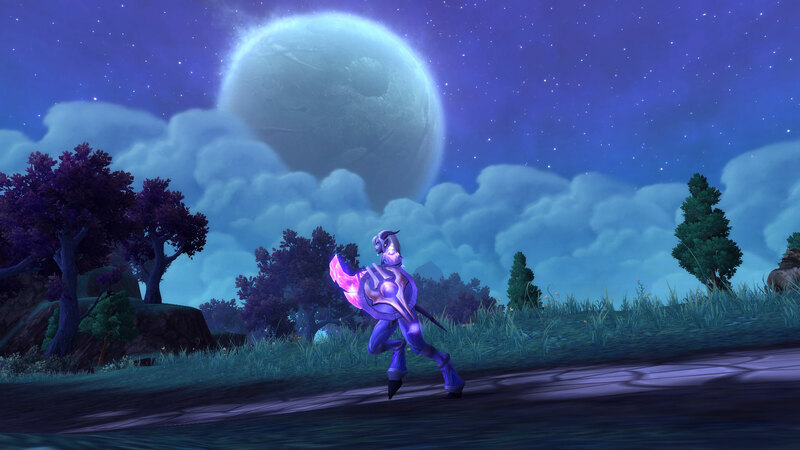 She came of age around the time the draenei landed on Draenor and joined the guard in her home town. She was still a paladin at this point, but she relied much more heavily on her martial abilities and her trusty shield. However, when the orcs attacked, she was badly injured and spent the rest of that war recovering in hiding. After this experience, she became more in touch with the Light and took up the mantle of healing, though she still carries her trusty shield. 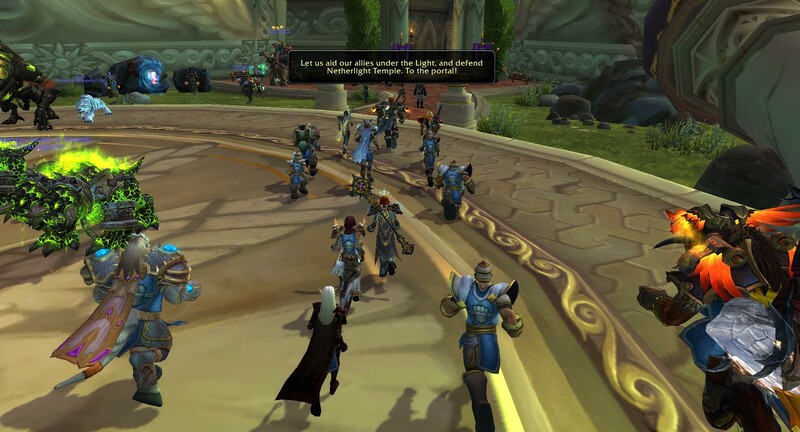 When the draenei eventually escaped to Azeroth, she quickly joined up with the Stormwind army. She has, for the most part, remained in the army all the way up to the events of Warlords of Draenor. I struggled the most with a name for her, as she is the character I am most attached to, but eventually I settled on the name Kya. No last name yet, that will come later, but for the most part, I’ve settled upon her story. Moving on to my next character! 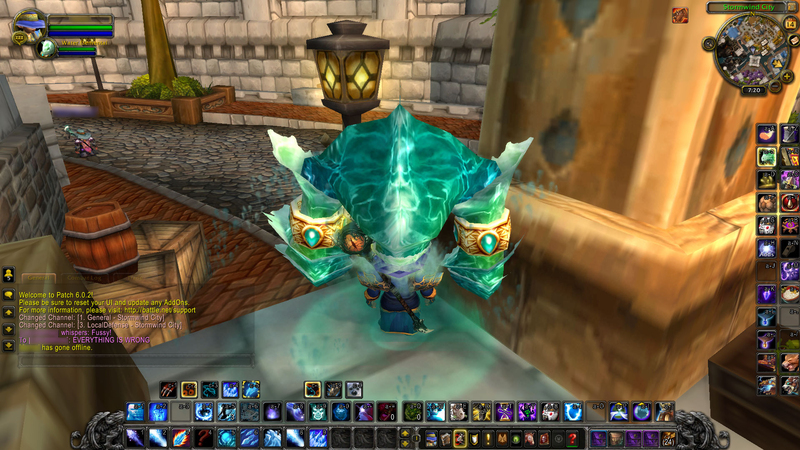 My gnome mage, despite being my oldest character, does not actually have a complete backstory. Personality-wise, I know she is ingenious and resourceful. An unwavering sense of optimism as well as a stubborn streak a mile wide means there is very little in the world that she cannot do. She is talkative and sometimes overly cheery but she is also highly dedicated to her duties and friends. I have a working name for her of Mikri but I’m sure this will probably change once I settle on a complete backstory. Next up we have one of my newer toons, my human priest Fancypants. Fancy is vain (what a surprise there! ), self-centered, and incredibly presumptuous. The rest of the world is beneath her, despite her not being particularly skilled at anything. Now you must be thinking, this is a terrible character, why would you ever play someone like this? Well Fancypants is unusual in that her backstory actually came first, before her characteristics or name. You see, Fancypants came from wealth, with a capital ‘W’. The daughter of a very influential Stormwind noble, she got everything she ever wanted without having to do a thing. 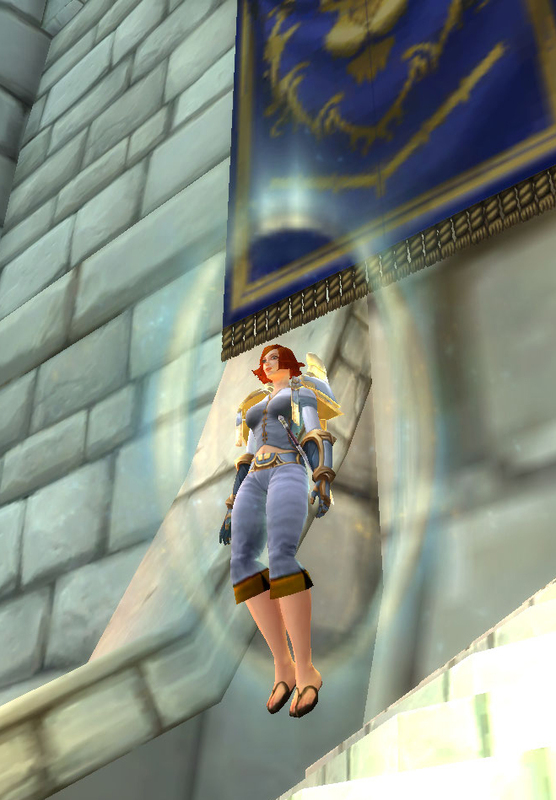 She entered the Stormwind clergy but left shortly after, finding their life of prayers and public deeds boring. Unfortunately for her, her family’s prestige and wealth was not to last. A very public and very dirty contract ended up with her father’s title being forcibly removed and even worse, the family was now prime targets for Stormwind’s underworld. Fancy and her siblings were all sent away for their own protection, a fact she resented immensely. After leaving her prearranged ‘vacation’ home, she now wanders from town to town sneering at the ‘low born commoners’ and burning through the remaining bit of her inheritance. Fancypants does not yet have a name, but you better bet your bottom dollar, it’s going to be prissy and very very rich sounding. Hey look, I’ve actually got some artwork I made for Elfster! 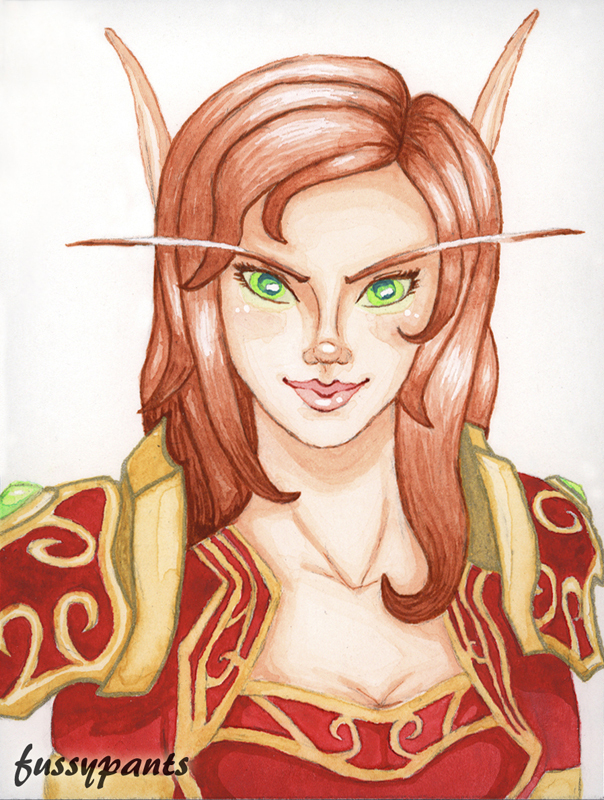 Last on the docket is a very old character of mine, my blood elf shadow priest by the name of Elfster. Look, she doesn’t have a Pants name! …Although the name she has isn’t great for RP purposes either. Elfster… isn’t all there. She’s got a few screws loose although she does her very best to hide it. It probably has something to do with the whispers she hears constantly, but Elfster would never tell you about that either. She’s accutely paranoid, extremely single minded, and highly observant. I haven’t completely filled out all of Elfster’s backstory but I do know she is an agent working for Wrathion. 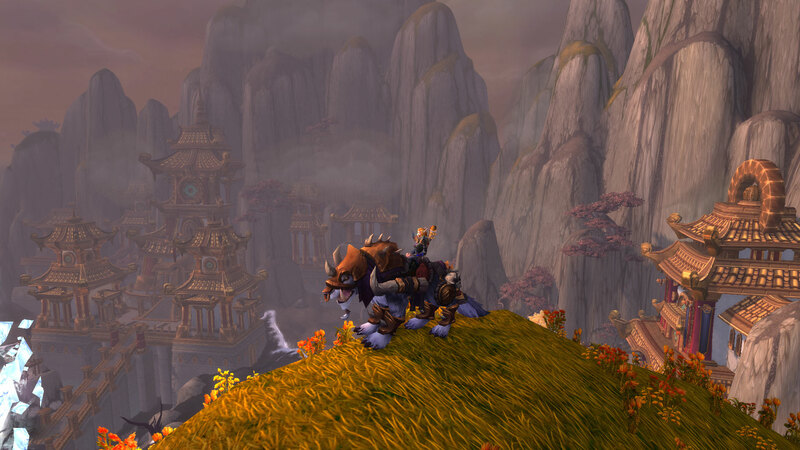 During the events of Mists of Pandaria, she was a thick as thieves with the last black dragon and personally carried out a number of missions for him. 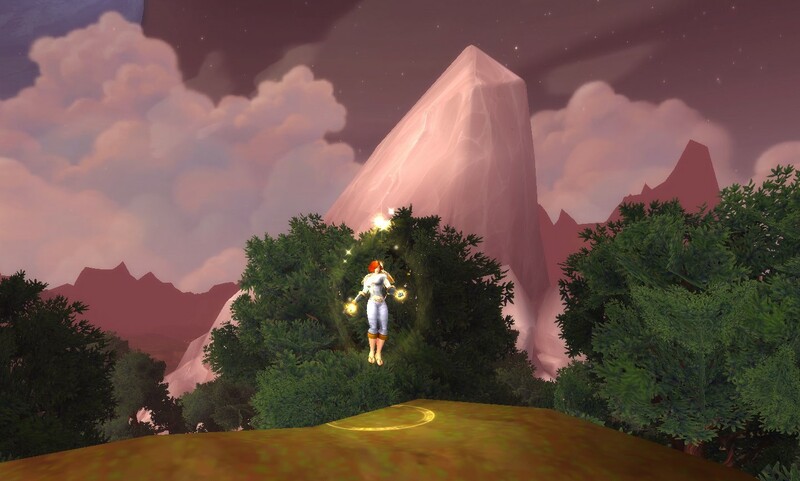 At this point, her whereabouts are unknown but it is believed that she is somewhere in alternate Draenor. And of course, since her backstory isn’t finished, neither is her name. Well there you have it! Some of the backstories and headcannons I’ve put together. None are completely finished and all could be changed dramatically but the characters themselves will probably remain the same. I’ve actually written a few short stories about these characters which I maaaaaaaaaaaay or may not post here. Only time will tell! It’s that time in the expansion cycle. Folks bored of their mains have decided to take up new classes or even new roles. And you have made the excellent decision to take up healing during this expansion break. Well, you’ve come to the right place! Welcome to Fussypants’ Introduction to Healing! ABOUT THE GUIDE WRITER: I am a career healer through and through. I raid regularly on a Holy Paladin and a Mistweaver Monk and semi regularly on a Discipline Priest. I have also dabbled in Restoration Shaman healing (for Herald of the Titans runs) and Restoration Druid healing (more in PvP than PvE). I heal raids almost exclusively and have extensive knowledge about dungeon healing. Now, on the matter of dpsing… well it’s a good thing this is a healing guide! In the broadest sense of the word, healing is restoring the life to your allies. But I mean, that definition is very vague. That sounds more like a deep philosophical thought than a job in World of Warcraft. Yes, healing is making sure your allies don’t die but it’s so much more than just that. Healing can be best described as reacting. Reacting to the damage going out (or that will go out) to your allies and making sure that your allies don’t die. Healers, out of all the other parts of the trinity, have to be the most on their feet. The damage going out can change at a moments notice and healers have to be ready to react. Healing does not have a set rotation or a tank swap mechanic. Sure there is an ability priority, but the spells you cast depend entirely on what is going on in the raid around you. Healers are reactionary. So before you ever try to seriously attempt a healing class, I would recommend taking a good look at yourself. Do you have fast reaction times? Do you react well under pressure? Can you make decisions quickly? If you answered no to these questions, odds are you won’t find healing very enjoyable. Healing can get frantic and chaotic and if that sort of thing stresses you out, I would say healing is probably not for you. At this point, you are probably thinking “By gosh, this healing thing seems more terrifying that I thought!”. But don’t worry, its really not as bad as it might sound! I describe it this way so you know what you are getting in to. Healing is really a completely different style of play than DPSing or tanking. It’s not scary, its just different. Healing can also be incredibly empowering. Sure, when you dps you influence the outcome of the raid, but when you heal, you actively decide it. How and who you heal can mean the different between life and death. Many times, you will have to make a choice between which person you save and which person you let die. And when you do a good job healing, you can tell. When you down a boss and no one has died because of your clutch heals, it’s an awesome sense of success. Skill can also get you farther on a healer. A good dps is limited really by how strong their gear is. There is a mathematical number that dps cannot get higher than, no matter how amazing they are at their class. But with healing, there isn’t the same sort of number cap. I’ve been in so many raids where, despite my lower gear, I was the top healer because I casted my abilities on the right people at the right time. Now, I’m not saying you can heal better than someone in Mythic gear when you are only in greens, but skill is a much bigger factor. And finally, healers are highly sought after. 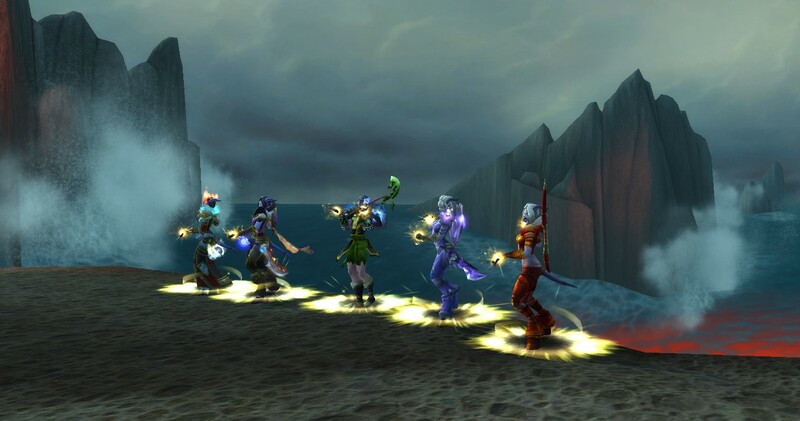 When you role a healer, you will have faster queues and better chances of getting into group content. People want you. I always joke that the reason I became a healer was the faster queues, but there is honestly a lot of truth to that! So you have decided you want to pick up healing. But before you jump in, here is the basics to healing. Every healing class has slightly different spells and thus slightly different acronyms and names for their spells, but here are some general terms that you will need to know. HoTs ~ Healing over Time or Heal over Time spells. An example of this would be a Shaman’s Riptide or a Priest’s Renew. These heals provide a chunk of healing spread out over a period of time. Rez ~ You probably already know the meaning of this spell, but just as a refresher, a Rez is any spell that brings a player back to life. It cannot be cast in combat and has a relatively long cast time. As a healer, it is generally your job to rez all the people who die once the fight is over. LoS ~ Line of Sight. As a healer, you have to be in the line of sight of the person you are healing. Especially in small cramped environments this can be harder to maintain, so make sure you inform those you are healing if you can’t see them. OOM ~ Out of Mana. All healers require mana to cast spells and this is the acronym you use to let your group know that you need a second to drink up and get your mana back. External ~ A damage reduction spell you can cast on other players. Players, especially tanks, will often call for an external when they are taking a lot of damage. Healers mainly are the ones who cast externals, so make sure you know which ones you have. An example of an external would be a Druid’s Ironbark or a Paladin’s Hand of Sacrifice. Absorbs ~ A healing spell that instead of returning health to a player, it puts a temporary shield on them. Absorbs do not actually heal any damage back, they prevent any future damage (for as long as the shield holds). A classic example of an absorb would be a priest’s Power Word: Shield. Each spec will also have it’s host of lingo related to specific spells. Generally these are just acronyms for specific spells. An example of this would be a shaman’s HST, meaning Healing Stream Totem. The tank is your top healing priority. If a tank and a dps are both taking damage, always heal the tank first. Know which heal is your ‘filler heal’ and which heal is your ‘oh shoot heal’. Every class has a slow cast low mana ‘filler’ heal and a fast cast high mana ‘oh shoot’ heal- know which is which and use the ‘filler heal’ when there is less or predictable damage going out and the ‘oh shoot heal’ when there is high or bursty damage. Don’t be afraid to use your cooldowns! In fact, pop them often and early. If you always save your healing cooldowns, you will find yourself at the end of the fight without ever using them. When you don’t need to be casting healing spells, don’t be. Overhealing can be a real problem so in the effort of conserving mana, only cast healing spells if people are damaged or are about to be. Pay attention to your environment. Healers can often fall into the trap of tunnel visioning those little green bars but often times, what is going on in the game world can be the cause of damage. Dispel all things. With a few exceptions (and these are mainly raid mechanics), if you can dispel something, do it. This will save you mana in the long run. Each healing class heals in a different way. Here is a brief little run down to help you decide which class is for you! Holy Paladins excel at single target and burst healing. With their Beacon of Light, paladins make excellent tank healers and are very strong in smaller groups. Holy paladins heal mainly by casting medium sized single target heals (Holy Shock and Holy Light) quickly on a number of targets. They also have a secondary resource called Holy Power, generating it with Holy Shock and spending it with Light of Dawn and Word of Glory. Paladins have amazing burst capabilities with Avenging Wrath and when played correctly, rarely ever have mana issues. The biggest strength of a paladin healer is their single target healing. They are arguable the best dungeon healers and are very strong tank healers. Paladins also bring Devotion Aura and their Hand spells to the table, which are fantastic at preventing or reducing damage. Holy paladins are weak at multiple target healing. Their multiple target heals are less effective than the other healing classes so they cannot heal up a number of people at the same time. Sustained raidwide damage is the hardest type of damage for them to heal through. Holy Paladins are a nice mix of reactionary and preemptive healers. Their burst and single target allows them to quickly return someone to full health but their damage reduction spells are best when casted before damage goes out. Also, their mastery makes it beneficial for them to heal targets even when they are at full health if damage is eminent. As a paladin healer, I would recommend this class highly for newer healers. The spell priority is easy to learn and plate armor means that paladins are less squishy than the other healers. Holy paladins are the easiest to pick up yet can be highly customized by their glyphs and talents. And I mean, I’m kinda biased because this is my main. Mistweaver Monks are arguably the most unique healing class in game right now. Unlike every other class, they channel Soothing Mist on a target and can instantly cast Surging Mist and Enveloping Mist during the channel. They ‘weave’ this in with casting Renewing Mist, a HoT that jumps from player to player across the raid. The last major ability they have is Uplift, which heals all the players who currently have Renewing Mist on them. Mistweavers have a secondary resource called Chi which they generate via Surging and Renewing Mist and spend with Enveloping Mist and Uplift. The Mistweaver playstyle is highly mutable, depending on which talents you take, making the spec very customized. Mistweavers are very strong multiple target healers but also have very strong burst on a single target. Their big cooldown, Revival, is incredibly powerful and can bring a group from almost dead to full health. They also can earn back mana through their Mana Tea. Mistweavers struggle in sustained single target healing. While they can burst very high, it is not sustainable for long amounts of time. Mistweavers are also generally harder to learn than other healing specs, and switching between single and multiple target healing can take some getting used to. Mistweavers are mostly reactionary healers. They can respond almost instantly to damage with their instant casts and big burst. But they also can sustain a low amount of healing almost indefinitely in between damage spikes. Mistweaver healing is one of my favorite styles of healing outside of paladining. The playstyle is truly unique and the talents offer a lot of customization. And I will forever be an advocate for Fistweaving as I think melee dpsing to heal is one of the coolest things ever. However, I would recommend trying out a different healing class before monk. The playstyle can be very hard to get down and mana is an ever present issue. Discipline Priests are the masters of absorbs. Through their various shield spells, they can prevent damage on multiple targets or give their allies a few more seconds of life. Discipline priests are best when healing with other healers due to the nature of their absorb spells. A discipline priest’s big ability is Power Word: Shield and their single target healing comes mainly from their Penance and Heal spell. 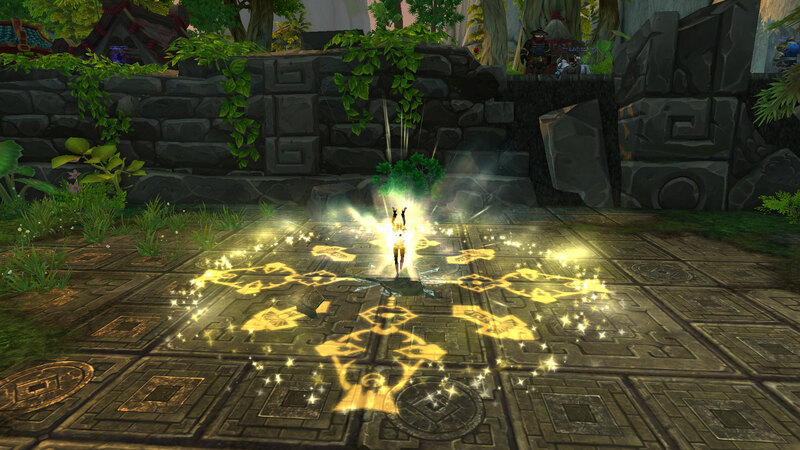 The last major ability disc priests have is a spell called Archangel. A free crit on a 30 second cooldown, Archangel greatly augments the disc priest’s ability to heal groups. Discipline priests are very strong at preventing damage, so they are not particularly powerful in single target or multiple target healing. They simply make it so that damage never lands in the first place. As such, Disc priests are very preemptive healers. Since they work to keep damage from ever happening, disc priest require a deeper knowledge of fights. They heal best when they know when the damage is coming. Discipline priests, when played right, can be extremely powerful healers. The playstyle is very fast paced and rewarding. While this was nerfed pretty hard in Warlords, they also can theoretically heal by damaging their foes via Atonement (although this is not very powerful). The disc priest is an easy healing class to pick up but I would recommend choosing a different class to start out with healing. Because disc priests heal in such a different playstyle, they do not teach the the habits that most other traditional healers use. All the same, it’s a very fun class to try out! Big thanks to Cloud for the discipline priest edits! There’s a reason why you are our guild’s top healer! Restoration Druids are slow and steady, as they maintain HoTs on a number of players. They have high mobility and low cast times and can sustain their healing for a very long time. Resto druids also benefit from a host of talents that allow them to change their style of healing, depending on the encounter. They really are the Jack-of-all-Trades for healers. Because resto druids heal primarily through HoTs, they excel at sustained healing. 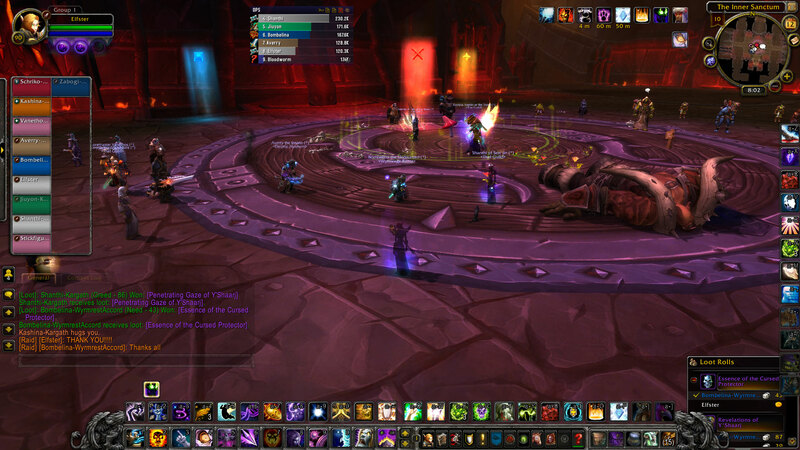 Resto druids are also very powerful multiple target healers and have a very strong healing cooldown in Tranquility. And, when played right, they rarely struggle from mana issues. However, resto druids are weak at burst healing. They cannot maintain single target high intensity healing for very long before they run out of mana. Druids also have a large number of abilities which can be harder to maintain. Preemptive healing is the resto druid’s forte. While it might be tempting to spam Regrowth, resto druids perform best when they allow their HoTs to ramp up and heal over time. Just like disc priests, a deeper knowledge of the fights and when damage will be going out is important to resto’s success. Resto druids have a variety of builds available to them, which allow them to customize their heals like almost no other class. So if one build does not work for you, another might. And especially in some of the high movement fights, resto’s ability to move and maintain their healing make them very valuable and very powerful. Resto druids are a good entry level healing class as well, but it is important to remember that they heal preemptively instead of reactionary. Restoration shamans have a good blend of active and passive healing. They have a few HoTs but they also have many abilities that require active casting. Shaman have a toolkit that allows them to ‘set and forget’ to heal lower priority targets while they focus on those taking more damage. Their toolkit allows them to adapt to a variety of situations. Shaman are amazing at large group healing. With a variety of multiple target heals, they excel at keeping large numbers of players up. Resto shaman shine especially when players are stacked up in one spot. On the flip side, shaman are very weak at small group and single target healing. Their abilities are designed to blanket an entire raid group and they simply do not have a lot of spells to quickly heal up a single target. Shaman are also very reactionary healers. They see the damage going out, thrown down the appropriate totem, and begin healing up the damage. They have little in the area of damage prevention which means all of their healing happens after damage has already been taken. As the resident shaman healing in my guild puts it, resto shaman are communist healers. They share all their healing with everyone and excel at healing everyone all at once. Shaman also rarely have mana problems, allowing them to really pump out good numbers. Shaman healers are a very good candidate for beginner healers as their toolkit is easy to pick up. 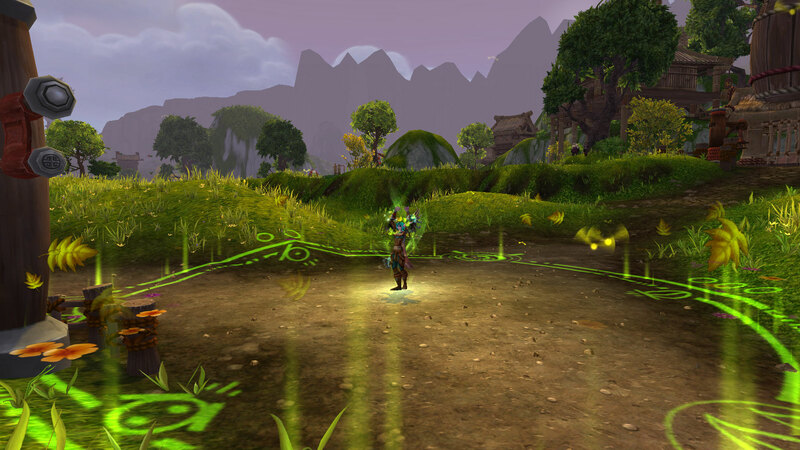 Big thanks to <oTQ>’s resident shaman healer Worldhopper for all the shaman advice! Again, I did not know this class well enough so all this information is courtesy of her! Holy priests are the very image of what comes to mind when you say ‘healer’. All of their spells outright heal up a target- little of that absorbs or HoT business for these priests. Holy is very much the Jack-of-all-Trades, having a tool for almost every single situation. Holy priests also have powerful healing cooldowns and great proc synergy if played correctly. Holy priest’s greatest strength lies in that it has a heal for almost every situation. It has two direct single target heals (Heal and Flash Heal), three multiple target heals (Prayer of Healing, Binding Heal, and Circle of Healing), a set and forget reaction heal (Prayer of Mending), a HoT (Renew), an absorb (Power Word: Shield), a very powerful ‘oh shoot!’ button (Guardian Spirit), the healing spells granted by each Chakra, and two powerful long cooldown heals (Lightwell and Divine Hymn). Holy priests have the spell for every occasion, the trick is deciding in a split second which spell is best. However, Holy’s strength can also become it’s weakness. There is a very high skill barrier in learning which spells to use when. Often times, poor spell choices result in going OOM rather quickly. Holy priests need to know the damage pattern of the fight very well or be super quick on their feet. Holy priests have all the tools, it’s learning how and when to use them. Because holy’s heals directly replace heal that has been lost, holy is a very reactionary style of healing. There are a few abilities that you can preemptively toss out but most of holy’s healing comes after the damage has been dealt. Holy is very much the iconic healing class. Heck, half of their spells have the word ‘Heal’ in it! But don’t let this fool you. Holy is a very complex and very versatile healing spec that, when played correctly, can really pump out the healing. 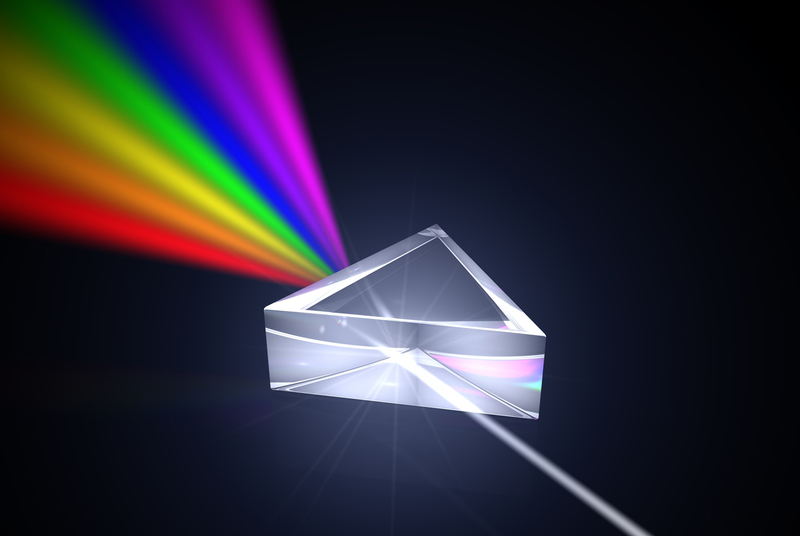 While it is not the simplest healing class to pick up, it has the most tools for each situation. Also I mean Spirit of Redemption is kinda awesome fun! 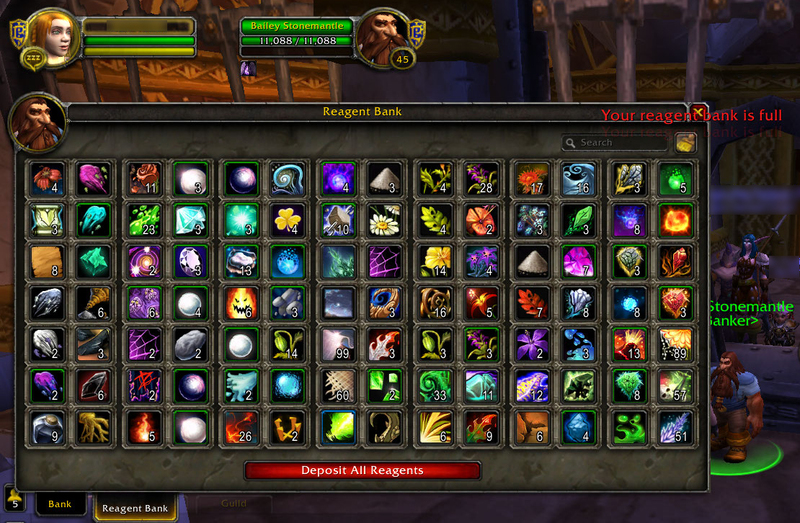 Big thanks to Cloud, resident priest in my guild for providing me with knowledge on Holy healing! I hope this guide proved useful to all you up and coming healers out there! While this was a beginners guide to healing, I would also strongly recommend visiting Icy Veins for more in detail explanation of each class. Good luck and may all your bars be full of green! Somewhat of a bomb was dropped at Dragon Con a few months ago but it seems many people did not hear about it. To sum up what happened, Blizzard had a panel at the Con where they dropped a boatload of information about Legion. The piece of information we want to focus on today is this (from MMO Central Event’s Live Twitter of the panel). Q. What specs are getting overhauled? Most of them. Working based on the fantasy of the spec, tweaking to fit more. Some renamed specs. 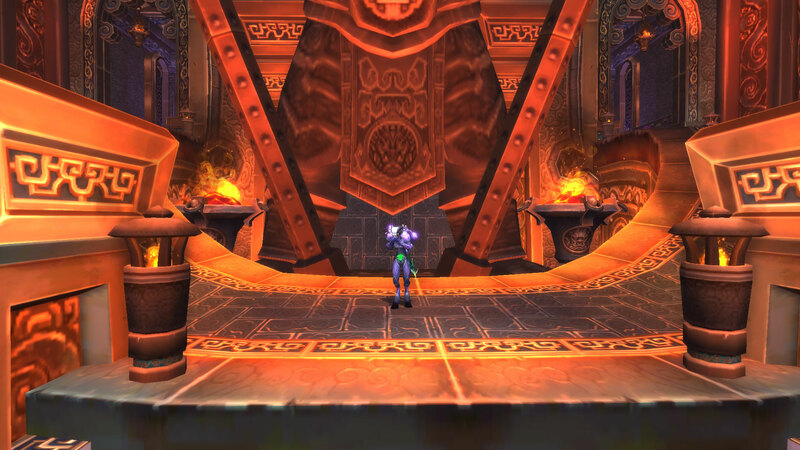 The overhaul of specs was to be expected as this often happens every expansion. But the interesting piece of news was the renaming of the specs. Currently, none of the specs in game have been renamed. While I know there are undoubtedly people who are super attached to the name of their spec, I am ok with changing a few so that every class has 3 unique specs. And I would say I do have a horse in this race because I extensively play two of the specs which have two classes. What would I like to see changed? First and foremost, I think Holy Paladins could become Templar Paladins. I mean, even the name sounds pretty cool! Templar. Templar. Let lame Holy Priests keep the name ‘Holy’ (I kid, you guys aren’t lame. But the name Holy fits your class better than it does for paladins). Protection Paladins could become Crusader Paladins or Protection Warriors could be renamed Vanguard Warriors, since both would also fit with their themes. I could see Frost Mages becoming Ice Mages (but I don’t know enough about Frost Death Knights to suggest a name Change). Restoration Druids and Shamans is a harder one for me to pick a name (as I do not play that class as much as I play the others). Spiritmender could be a cool name for Shaman Healers perhaps…. Overall, I think its a good idea to switch up the specs every expansion, names, mechanics, the lot. Sure, some changes aren’t as successful, but some gameplay styles become so much more fun after a revamp. It’s good for the game to keep changing so it doesn’t stagnate and decline. Also, I really want Templar Pallies now. Templaaaaaaaar. Now, Blizzard is trying to differentiate the specs more to fit the fantasy tropes they represent. Some are I little less straightforward than others. Some are vague and greatly changed from their original name. Enhancement shaman come to mind instantly. They are clearing the melee spec of the shaman class, but how can one name them… A review of the class shaman faction doesn’t help. The only option is “Earthfury” which doesn’t make much sense. A Windfury shaman is a possibility, but limiting the name to one single spell doesn’t really fly. I do like keeping Elemental the same name, it does fit the class and theme. I also like Fussypant’s suggestion of Spiritmender. What spec names would you guys like to see changed?